Unfortunately, this is what causes lack of motivation, feelings of isolating, and in the end causing depression. I don’t want migraines to be a death sentence for me. I learned a lesson I’d never forget. The lesson was that, when you have setbacks and failures, you can’t overreact to them. This book, I’m only a tenth of the way into it, is truly inspiring. 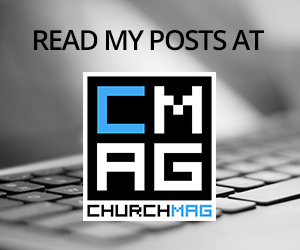 (I’m going to absolutely write an article for ChurchMag on it, so look for it there) Maybe the biggest reason I love this is that it speaks well what I have wanted to say for many years. In fact, I believe this book sums up my life as I was raised in my parents home, went off to college, married my wonderful wife, moved 2,000 miles away, and started a family. What does it share? You have to work for what you want and want what you work for. Abraham was faithful, absolutely. But he definitely did not just sit around. He was faithful, but he was also passionate through the calling that God had given him many years prior when God called Abraham to be the father of a nation and he had the perseverance to continue to push at an old age. Same with Rahab who, in spite of how people looked at her and the life she had led, actually was used by God and ultimately because of her faith and grit, served God so well to become one of the biggest women to be written into Scripture. I have a goal of wanting to eventually be able to take part in a 5k or 10k. When the migraines first started, I thought that I wasn’t going to be able to accomplish it… and I still might not. But I’ve gotten a lot out of being able to go workouts for my own personal health, for my energy levels, and for just my entire sense of self. In fact, I have begun to use that time as worship and reflection with God as I workout. I simply cannot let it go. I don’t want to stop and so this week I have begun to work out again. This migraine thing is not going to get the best of me and I’m going to beat it. It doesn’t even stand a chance! I would love your prayers as I attempt to continue to push on with it. It’s not going to be easy. But as we just read, it wouldn’t be worth it if it was.